Duniya Ki Qadeem Tareen Tareekh authored by Yasir Jawad. 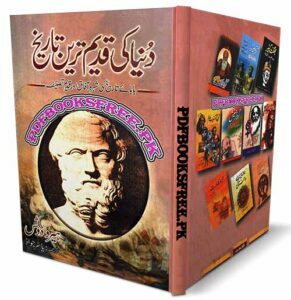 This book is probably the Urdu translation of “Histories” of Herodotus a Greekh writer and geographer well known as Father of History. The “Histories” book was first published sometime around the 425 B.C with the title of “Historie” (Inquiry) in Greek. Histories is the world oldest book which is a long account of ancient history of the Greco-Persian wars of Europe. Before Herodotus, no writer had ever made such a systematic historical document, thorough study of the past and tried to explain the cause and effect of its events. After Herodotus, historical analysis became an indispensable part of intellectual and political life. Scholars have been following in Herodotus’ footsteps for 2,500 years. Duniya Ki Qadeem Tareen Tareekh book is now available here on Pakistan virtual library in high quality Pdf document for the study of our visitors. Check out the following links to read online or download the complete book in Pdf format and enjoy offline reading.